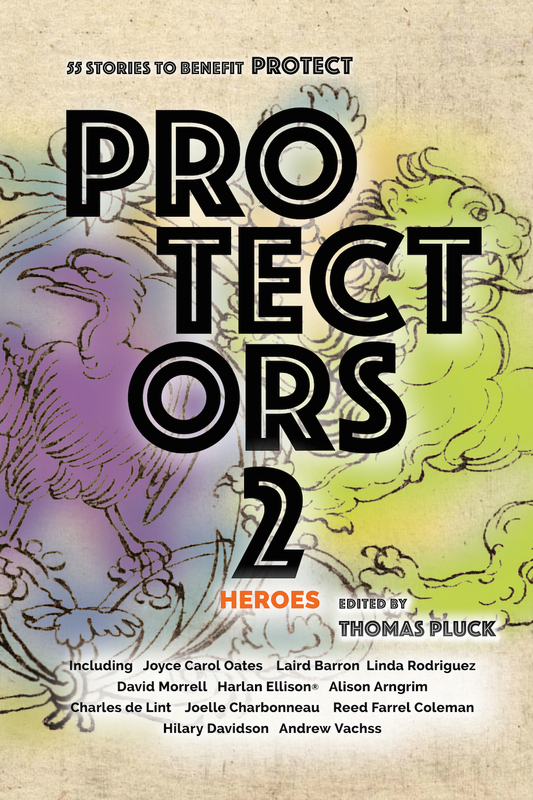 You can order Protectors: Stories to Benefit PROTECT AND Protectors 2: Heroes for a discounted price of $11, which is $2 off retail. I can do this because buying direct saves the 30% cut the e-tailers take, so PROTECT gets a bigger donation even with the temporary discount. We take payment through Paypal, and send the e-books and Kindle and epub format. If you pre-order now, you’ll get Protectors 1 emailed to you in a few hours (it’s a manual process) and you will get Protectors 2: Heroes on September 15th (or maybe a little earlier…) which is the official release date. I can’t take pre-orders on the paperback at this time, it is just too much to take on logistically, but I will be offering a similar two-fer deal and reduced direct sale price once the print book is ready. I will have copies for sale at Bouchercon 2015, and at any Noir at the Bar events after the release. If you’re on the fence, here’s the full table of contents, from legends to rising stars to emerging writers, all who support PROTECT’s cause, protecting children from all kinds of abuse and exploitation. 100% of the proceeds are donated to Protect’s lobby. If you’re unfamiliar with PROTECT, they are the political lobby of the National Association to Protect Children, whose victories include the Circle of Trust act and the HERO Corps, which hires wounded veterans to assist law enforcement in hunting online predators. Oh yeah! Come get some!